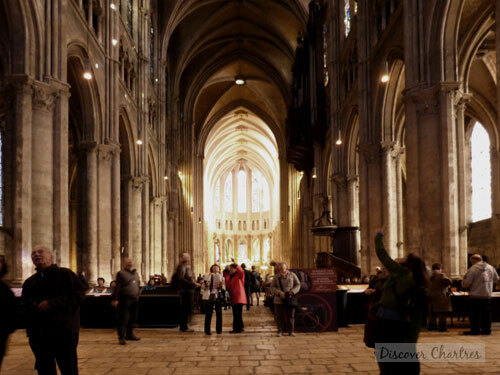 Chartres cathedral has three main portals - on the north, south and the west. 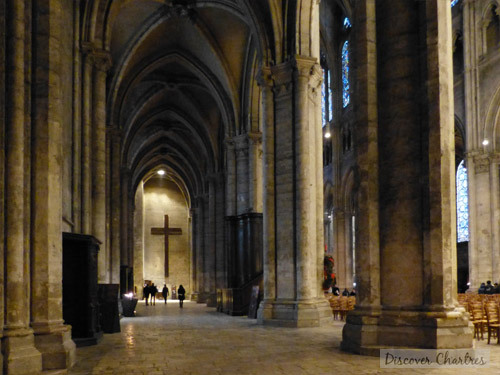 I love to enter the cathedral from the west facade (aka Royal Portal) which leads directly to the central nave. 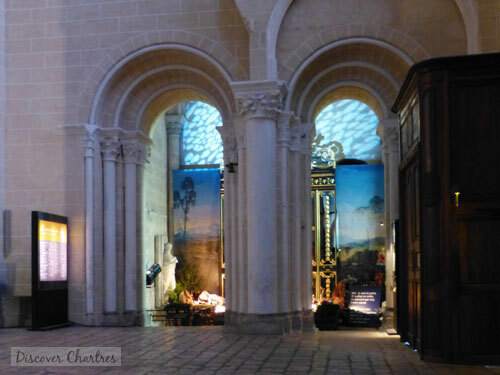 Now let's get ready to go inside the cathedral and discover the interior features and decorations! A magnificent view along the nave with seven pillars on both sides, the pipe organ on the upper right and the labyrinth on the the central floor. Just after the entry portal - before the nave (aka narthex), there are the rooms beneath the two towers on your right and left side. The room on the left side is now a souvenir store where you can buy postcards, souvenirs and guide books which are available in several foreign languages. 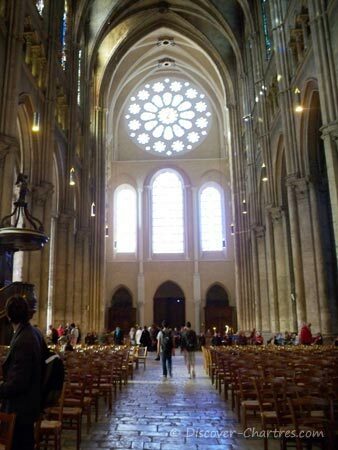 The nave of Notre Dame de Chartres is approximately 37 meters high. 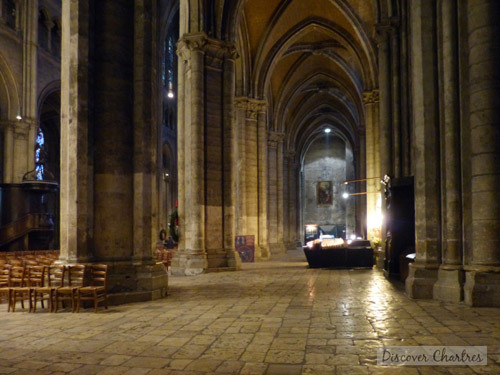 Here you will see the largest labyrinth ever built in France on the floor of the central nave. The north aisle on the central nave - view from east. 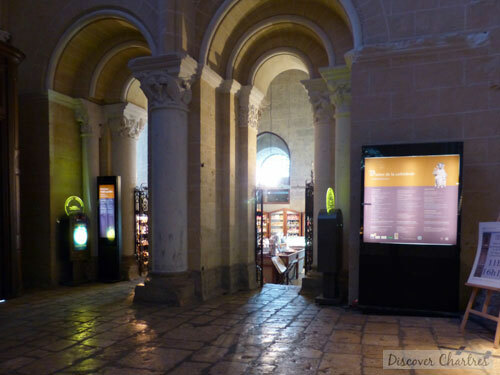 Here you will find the welcome desk that sells entry tickets to the north tower. 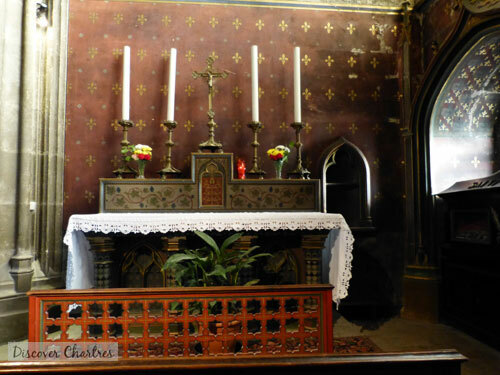 The actual pipe organ was reconstructed between 1968 and 1971 whereas the organ case was made of 14th and 15th Century wood and was reconstructed in 1542. 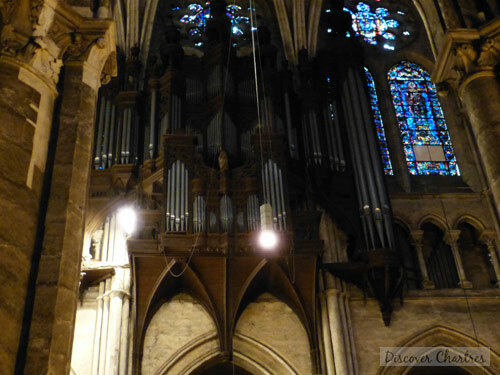 The pipe organ case of Chartres cathedral is considered as one of the most ancient organ case in France.